Here’s a list of 50 woodworking project ideas that you might want to try out, listed in no particular order. Whether you’re a beginning woodworker or an expert, I hope you find a project idea that piques your interest. For each project, too much or too little moisture content (MC) could have disastrous results, but we’ve got you covered with our industry leading moisture meters. Have any questions? Leave a comment below or give us a call at 1-800-634-9961. Kitchen Table – Long, often glued sections of wood will show significant shrinkage and expansion, so make sure the MC is correct from the start as well as build it in such a way as to allow some movement without tearing itself apart. 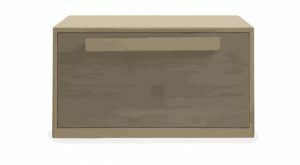 Dresser – If you want your drawers to fit right (the dresser drawers that is), you’ll want to limit movement in the wood. Builds using plywood will be more dimensionally stable than those with solid wood, but many plans require both, like the dresser I finished up as this article is written. Well-dried wood, verified by a moisture meter, is a must. Shelves – I once made an 8-foot long, live-edge shelf out of 2” thick Yew I purchased from some guy off of Craigslist and forgot to measure the MC before purchasing it. It was beautiful, but when the wood dried, there was a significant twist down the length of the board, and one corner ended up about an inch higher than it should have been. Always bring your moisture meter with you when you’re buying wood, and scan the entire length of each board. Sometimes, only part of the wood has dried properly, or some parts may have been re-wet by the elements. Cabinets – Whether you’re putting these in your shop or in your kitchen, take the time to do it right. If you’re using plywood and solid wood, quality plywood is likely to be just fine if it’s been stored indoors (through the entire process of manufacturing, shipping, purchasing, and your shop), but still make sure the plywood and solid wood both have the proper MC for the environment they’re going to be in. The plywood will likely stay dimensionally stable with moisture changes in the environment, but solid wood won’t. So, so if you use both, make sure to take that into account in the design. Bookcase – You’ve got to store all of those books somewhere, right? 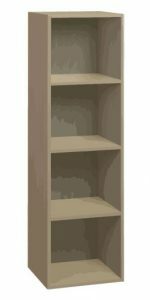 When you build your own bookcase, the case can be more of a display piece than the contents! Wood Flooring – While not an easy project for beginners, some woodworkers have made and installed their own hardwood flooring. Doing it yourself allows you to not only save money but create unique flooring that will make a statement in your home. You can choose species that aren’t common, make wider or longer planks than typical, and finish the flooring in a way that makes it your own. Moisture is one of the biggest factors when it comes to the long-term success of that floor. If you don’t want to live with irregular gaps between the boards, splitting, cupping, bowing, and other unsightly trip hazards, make sure every single board is properly dried. The National Wood Flooring Association recommends between 6-9% MC, but you can get a more precise target number by using an online EMC calculator or use the Wagner Meters Wood H2O mobile app. Don’t forget to measure your subfloor as well, and if you’re on a concrete slab, perform a relative humidity moisture test. Cutting Board – A cutting board is a beautiful, durable project that can last many years if made and cared for properly. End grain cutting boards are far superior to edge-grained and face-grain cutting boards, both for sanitary reasons as well as moisture-related movement. The cutting board is going to go through many moisture absorption and drying cycles, and expansion and contraction on an end-grain cutting board minimizes the amount of movement in directions that would stress the glue joints. Still, you’ll want to make sure the MC of the wood is appropriate and equal to minimize the amount of movement and tension after the cutting board has been glued up. Keepsake Box – With decorative joints, inlays, and all eyes on it, you’ll want to make sure the lid stays perfectly fitted and no cracks develop anywhere. Guitar – Luthiers (makers of stringed instruments) build beautiful works of art – pleasing not just to the eye, but also to the ear. The finest instruments are often carefully stored in humidity-controlled environments to prevent the moisture level of the instrument from changing and deteriorating the quality. It’s all for naught, though, if the original wood hasn’t been dried to perfection – the thin walls and plates of musical instruments are particularly susceptible to cracking and movement. You can build a guitar from scratch, with a template, or use a full kit (you might check out this supplier for hardware), but be safe and verify the MC is correct before investing so many hours into your work of art. Bonus fact: Many of the major guitar manufacturers, as well as countless custom luthiers, use a Wagner moisture meter on their projects. 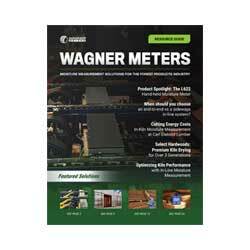 Shop Workbench – The core of the shop, many woodworkers will tell you, is the woodshop workbench. It’s the tool that most impacts the efficiency and enjoyment of the craft. This can be a solid-core door on two sawhorses or a split-top Roubo workbench with bench dogs, multiple vises, and beautiful joinery, but if you’re going to build one to last, make sure the wood is fully acclimated to your shop environment and the MC is correct before you get started. The larger boards and timbers typical with heavier benches take longer to dry, and construction grade lumber (often popular as a compromise between price and quality) often has an MC significantly higher than ideal for a project like this. Kickstart your workbench project ideas here. Bowl – If you have access to a lathe and a lot of patience, making a decorative bowl can be an amazing project. Wood turners have to be extremely aware of moisture if they’re going to avoid having their project split or deform. Often, a wood turner will “green turn” a “blank” into the approximate shape and size it’s ultimately going to be, but thicker than the final thickness – perhaps an inch thick. They’ll then seal the end grain with wax or another compound and wrap the whole thing in paper bags or newspaper to slow down the drying process. After several more months of drying (or longer), checking it with a moisture meter verifies that the piece will stay dimensionally stable and have a very low chance of cracking. Picture Frame – If you’ve got the perfect picture of your family or your favorite landscape, you might want to honor it with a custom picture frame. A picture frame can be a fairly simple process if you’ve got the tools and skills to make perfectly angled miters, a glue-up, and finishing. If gaps start to appear in those miters, though, or the frame begins to warp and twist, you won’t be happy, so verify the MC before you cut. Chessboard – the dark- and light-colored woods that make up a chessboard can be very beautiful. You’ll want to make sure the wood squares are precisely cut to avoid any gaps or unsightly misalignment. Once it’s made, though, a chess board is even more likely to expand or contract than an end grain cutting board due to the typical grain orientation. To avoid warping and cracks, avoid using “breadboard ends” or surrounding the squares with a glued-up frame of wood. The cross-grain expansion is almost sure to cause problems. Make sure you use a quality wood glue. And of course, before you even cut any of the pieces, make sure they’ve got a proper MC. Do you sense a trend here? Here’s an example of some moisture-related issues when a chessboard was made without taking this into account. Desk – want your home office to have a personalized touch? A quality hand-made desk can certainly become an heirloom piece, passed down from generation to generation. As with other projects, check the MC for all the wood before you cut, and avoid glued-on breadboard ends or you’ll likely end up with splits. Breakfast-In-Bed Tray – If your spouse likes eating in bed or on the couch, this is a no-brainer. A simple flat surface will do, and I’d recommend fold-out legs for solid support and easy storage. If you’d like more multi-function features, shallow drawers, phone-holding recesses, and pencil trays are super-convenient and turn your eating tray into a portable laptop desk. Entryway Key Holder – Add some hooks to hang keys on, some compartments to store mail and phones, and a chalkboard or a mirror to complete your style. Display Rack – Organize spices, essential oils, nail polish, or whatever your imagination creates. Chair – Very useful for those who don’t want to sit on the floor. If you cut corners, though, you might end up there, anyway! If you’d like to find some plans or just inspiration, we recommend you start here. Rocking Chair – This can easily become an heirloom, so build it right and it will last for generations! Step Stool – Perhaps you need one for those hard-to-reach pantry shelves. Just because it can be functional doesn’t mean it shouldn’t be a work of art. Bonus points if it’s multi-functional, like this beautiful one that caught my eye a few years back from Woodworker’s Journal. Butcher Block Countertop – Build it right, with appropriately-dried lumber that won’t warp or add stress to those glue lines. When you’re done, make sure it’s finished or sealed properly, on a regular basis, with mineral oil or another food-safe finish. If you don’t, and water seeps into the wood and glue seams… things could go poorly and get expensive. Couch End Table – Personalize your family or living room with a sleek couch end table. It’s ideal for lamps, photos, decorative items, and provides your room with extra storage space that fits right next to your couch or favorite chair. 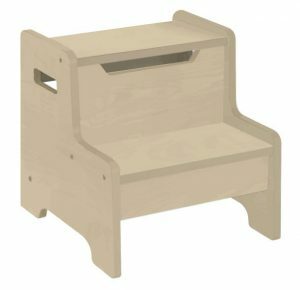 Bench Seat – A bench seat can offer additional dining seating or fit perfectly in an entryway, mudroom, and more. If you opt for a cube storage bench, you not only have extra seating, but extra storage as well for decorative items, hobbies, toys, media, or office supplies. It’s also perfect for placing items you need on the go or as a place where you can sit and put on your shoes quickly. Pencil / Crayon Caddy – If you need to store pencils or pens, a caddy is great for any office. And for all those little budding artists, a caddy helps keep crayons organized and upright. Add a handle for easy-toting or personalize with colorful designs or characters, e.g., Hello Kitty, characters from the movie Frozen, etc. Shoe Cubby – This is the perfect way to store or keep your shoes organized. You can build it horizontally or vertically depending on space. If you build it spacious enough, it can also double as a place to store other household items. Paper Towel Holder – Depending on the wood you use, a paper towel holder can add a warm and pleasing decorative touch to any kitchen. You can build either a standing holder that can be moved for easy access on your countertop or one that’s mounted to the wall. Napkin Holder – A great accessory and attractive centerpiece for any dining or buffet table! Keep napkins at your fingertips with a stylish napkin holder. Get inspired by this, this, or this one. Display Case – A wood-trimmed display case is great for displaying many items, including medals, pins, knives, collectibles, artifacts, flags, guns, and more. Add black velvet padding inside and surround the case with glass or crystal clear hard plastic panels to protect your contents. You’ve got options here – your case can be displayed upright on four legs, sit on a tabletop, or be mounted on a wall. Crib – A beautiful, handcrafted hardwood crib can become a prized heirloom passed from one generation to the next. Add butterfly hinges for compact folding and heavy duty casters to move it easily from room to room or to storage. 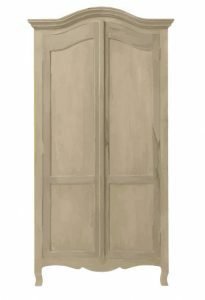 Wardrobe – Give yourself the space you need for folded sweaters, trousers, socks, and more with a roomy wardrobe complete with 3 drawers and hanging rod. Complement your bedroom décor by choosing wood that matches your nightstands, dresser, and headboard. Bed Headboard – Create ambiance in your bedroom with a bed headboard made of solid wood, striking a perfect balance of warmth and style. Choose from among fine hardwoods like mahogany, cherry, walnut, or oak. Be creative and include classic turned posts or an elegant scalloped top. Prefer a rustic look? Then use distressed wood with its natural characteristics and imperfections. 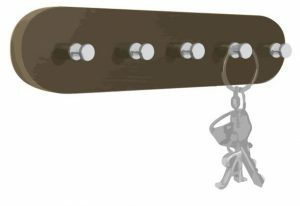 You can construct it with legs so that you can attach it directly to your bed frame or hang it at your desired height on the wall behind your bed. 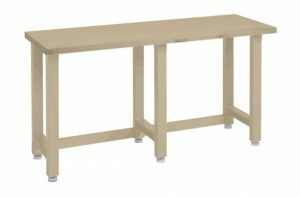 Mobile Kitchen Cart – Small kitchens need to be as versatile as they are efficient and what better way to add precious work surface than a mobile kitchen cart. Add wheels for mobility and a butcher block top with a built-in knife block for roomy food prep. Want to go all out? Include shelves, a drawer cabinet, and a towel holder. Hope Chest – This is a great place to store heirlooms and other important items for many years to come – either for your family or someone special in your life. Choose from among many beautiful woods such as cherry, oak, or maple. Line the chest with cedar for a pleasing fragrance. Consider adding a locking lid or a pair of magnetic clips to keep the lid firmly closed and your treasured belongings safe. These free plans are a good place to start, but if that doesn’t strike your fancy, there are a lot of different designs available around the web. 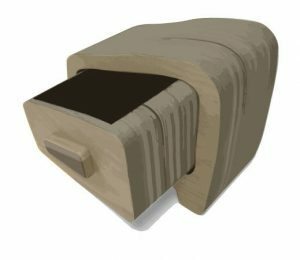 Bandsaw Box – Bandsaw boxes are easy to make, but make sure you use the right blade and make your cuts in the correct sequence. Start with a good size chunk of wood for the box – either hardwood or softwood. Can’t find one big enough to work with? Just Google “bowl blanks.” You’ll probably want to do the bandsaw work with a 3/16” 10 TPI (teeth per inch) blade, but be sure to go easy on feeding the material because of the fine tooth count. This will leave you with surfaces needing very little sanding – important for fitting the drawer. This Woodworkers Guild of America tutorial is great for beginners, but don’t copy any exact designs – there’s no reason each bandsaw box can’t be 100% unique! Clock Housing – Add a touch of classic style to any indoor décor with a finely-crafted solid wood wall clock. You’ve got some options here. You can go with the traditional round housing or go for something more elaborate like a pendulum chiming mantel clock that will look elegant over your fireplace. 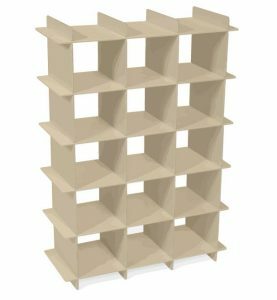 Magazine Rack – Build a roomy, stylish solid wood magazine rack that’ll look good in any room and you’ll have plenty of space for your current magazines, journals, newspapers, and books. Here, too, you have options. You can build one that sits on the floor with dividers and that comes with or without a carrying handle, or opt for a 7-pocket, wall-mounted rack. TV Stand – For many of us, there’s nothing more relaxing than curling up in the living room to watch a great TV show or movie. But are you tired of having to crane your neck to see that wall-mounted flat-screen TV, or are you looking to replace that standard-issue melamine console? To build a contemporary and functional DIY TV stand, you need nothing more than about $40 and the willingness to put in a little elbow grease. Simply cut some furniture-grade plywood into narrow strips, stack them, and add some ready-made hairpin legs and voila! You’ve got a mid-century media console. To prevent your stand from curling at the ends or the legs from wobbling, you know the drill – use a moisture meter to ensure the wood’s dry enough before you work on it. Platform Bed – A solid wood platform bed gives a clean, contemporary lift to any bedroom. It also eliminates the need for a box spring. To keep the mattress snugly in place, finish the platform on three sides with a 2-inch molding. You can stain or paint it, or enjoy the natural wood as is. Boat – Whether it’s a toy for a child or a full size boat for you… you don’t want expansion or shrinkage occurring in the wood. A moisture meter will help ensure your boat’s ready to sail. Kitchen Utensil Drawer Organizer – Simplify your life and beautify your utensil drawer with a wood kitchen utensil drawer organizer that you custom fit to your drawer. Or, if you prefer, use it in your office, computer desk, or dressing table for various “loose” items that cause clutter. Recipe Box – The cook in your life will appreciate the hand-crafted organization you gift them. Cookbook Stand – Stop fumbling with heavy cookbooks in your kitchen and give them a place to rest with a beautiful, handcrafted wood cookbook stand. Make it large enough so it will handle any size book and consider making it with 3 adjustable positions for easy reading. To avoid food splatters, you might also want to add a clear, acrylic shield that covers the front of your cookbook. Tool Chest – Sometimes a tool chest is used as a practice carpentry project for beginners. Other times, a craftsman is displaying their pride in their work through the quality of the craftsmanship. Wherever you end up on that spectrum, a tool chest is a fun and useful project. Quilt Rack – A charming addition to any home, a solid wood quilt rack is perfect for the family room, den, or bedroom for storing and displaying quilts and blankets. Add enough rungs and you can display several quilts and blankets neatly without clutter. Also, use it to hold towels in the bathroom. Bread Box – For many of us, a wooden bread box brings back memories of Grandma’s kitchen bread box that was filled with her delicious homemade bread and pastries. Bread boxes can be used to store bread as well as other baked goodies and even bagels, flatbread, and pita bread. Since wood helps regulate the humidity inside the bread bins perfectly, your bread box will help you preserve the freshness, flavor, and taste of baked products for a long time. 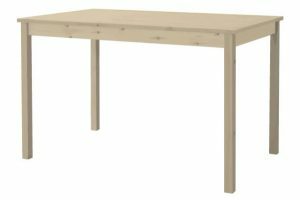 Card Table – Do you need a place to seat extra guests or play games, but don’t want a permanent table? If so, then a solid wood card table is for you. You can craft this handy addition for your home using either a traditional straight edge top or an elegant scalloped edge. Add a steel folding mechanism and you can easily store your card table in a closet or under a bed. And if you’re really ambitious, consider crafting matching chairs. 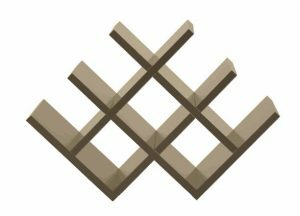 Footstool – Build a footstool that both you and your feet will love. Nothing’s quite like being able to elevate your feet to take the stress off your back and body. To make it even better, add padding on the top and/or have it house a small storage compartment for magazines or books. Stained or painted, your footstool will complement any room décor. It’s also great for helping you get those just-out-of-reach things or for a child who can’t quite reach the bathroom sink. Wine Rack – Whether you’re a wine connoisseur or merely enjoy a glass of wine occasionally, having a functional and even stylish wine rack will serve you well. Depending on how large and detailed you want it, you can normally build one for much less than it would cost to buy one. Wine racks come in several different styles – vertical, horizontal, and even custom looks. Some will hold 6 bottles of wine, while modular racks can hold dozens. Some racks even hold stemmed wine glasses. Jewelry Box – A solid wood jewelry box made from cherry, mahogany, maple, or some exotic wood – along with a burl wood top – adds warmth and charm. Jewelry boxes come in many different sizes – tall upright models with several drawers to small table top versions with one or two drawers. Add a velvet interior to protect jewelry from scratches and abrasions, a mirror inside the lid to help accessorize with ease, and as many divided sections as needed for bracelets, necklaces, earrings, and ring rolls. And there you have it – 50 woodworking project ideas to keep you enjoying your workshop for some time to come. I wish you the best and hope your projects come out well and last for years to come… and I hope our wood moisture meters help you make that a reality. Feel free to leave any comments below or give us a call to discuss wood moisture at 1-800-634-9961. It is truly useful information, thank you for giving me more new knowledge; I hope to read more of your article.